My son, Alex was diagnosed with cancer when he was just 4-years-old. Those early years of diagnosis were the most painful days of our lives. As he was growing he did not understand why he was different from other children. He was scared of injections. 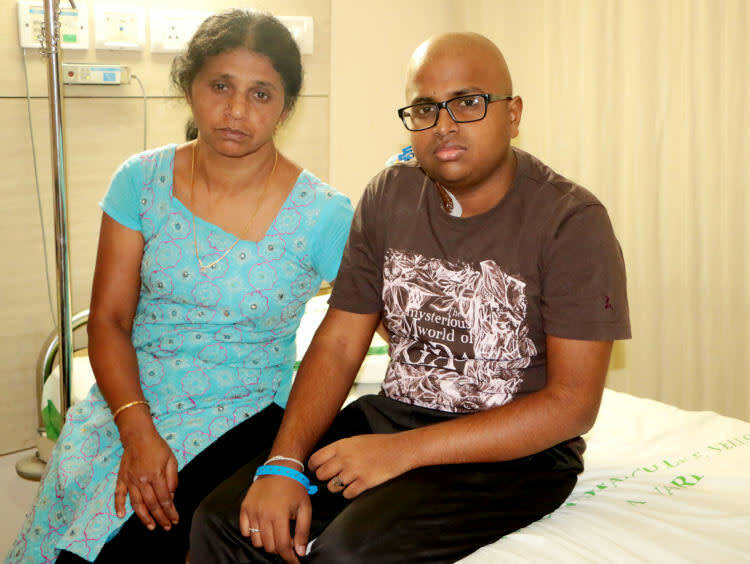 Now he is 19 years old, he is battling cancer the third time. Cancer has given him unbearable pain and trauma but he has not lost his willpower to live. His hopes were always bigger than dreadful cancer but now it is slowly taking over his body, aggressively day by day. Alex was born healthy. When he turned four, he complained of a sharp pain in his legs. He could not walk properly and developed a high fever. We took him to many doctors, but they were unable to tell us what was wrong. Finally, a bone marrow test revealed that he has blood cancer. His battle for life started then and it still continues. We had to start chemotherapy immediately and the hospital was 250 km away from our hometown. My husband Boban and I, along with Alex moved near the hospital leaving our 3-year-old daughter with her grandma. Alex used to go to school like a normal child. 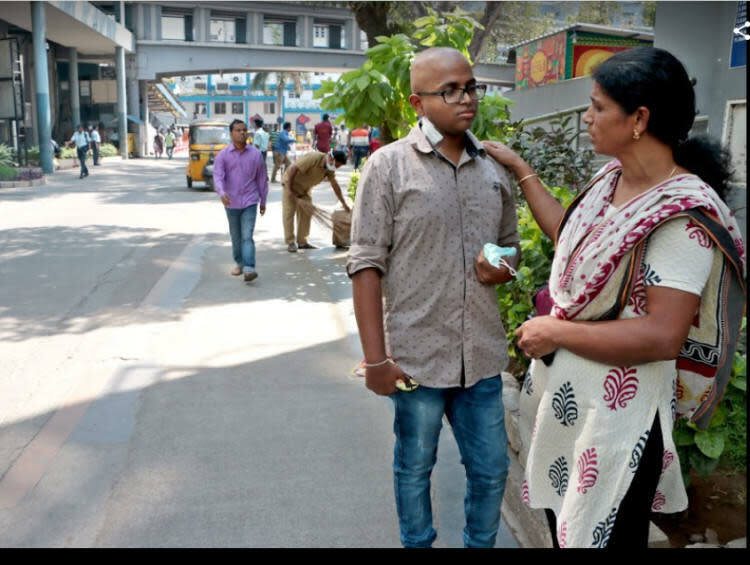 High dosage medicines, pain and the fatigue did not stop him from focusing on his studies. He was always pleasant despite his grave illness. Alex was in class 7 and had undergone two years of treatment already. We believed that he was completely cured. We had plans of shifting back to our hometown as frequent tests showed that he was fine. Suddenly, he complained of the same sharp pain in his legs and was not able to move. The nightmares began again, he had a cancer relapse. We were devastated beyond words, but to our surprise, Alex stayed strong. His only concern was his studies. The only time he feels sad and frustrated is when he misses his classes. Despite our financial struggles and mental trauma, we made sure he went to school every day. We had exhausted all our savings by then. My husband had a small family-owned business which he had to give up because of constantly being on the run to get Alex treated. He even suffered a stroke in between, which robbed away all his hopes and strength. We even sold our ancestral home as the expenses were staggering. We had to take a house for rent, get expensive medicines and take care of household expenses on our meager savings. We could bear anything but staying away from our daughter was very hard. She has been living with her grandparents ever since Alex’s diagnosis. I have never been able to take care of one child because the other was going through a life-and-death situation. It is the worst thing a mother can do – choosing between her children. Following treatment after the second relapse, cancer seemed to have disappeared from his life. Alex had scored 80% in his class 10 and 11. We were elated as he seemed healthy and happy. As usual, our happiness was not bound to last longer. Many years of his life had been filled with pain and stress, but he has focused on his interests all along. He had just entered class 12 when he got sick again. I broke down terribly when the doctor told me the bitter truth of relapse. It was my son who calmed me down. He was hopeful that he can beat it again as he always did. It is his hope that makes it possible for us to survive. Alex is currently undergoing advanced chemotherapy. 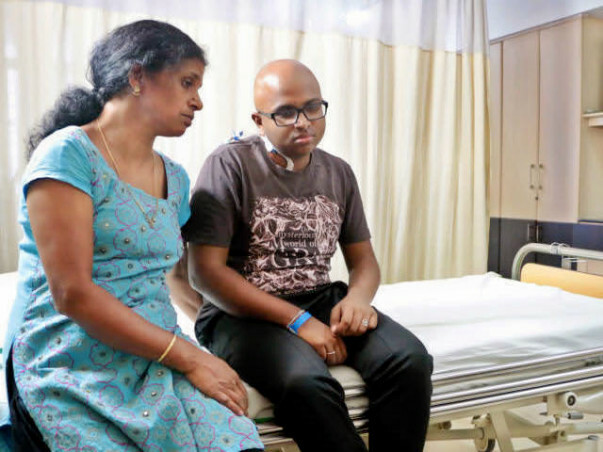 He needs a stem cell transplant to recover completely. His 18-year-old sister is a match and the doctors say that this surgery has to be conducted at the earliest or Alex will not survive. 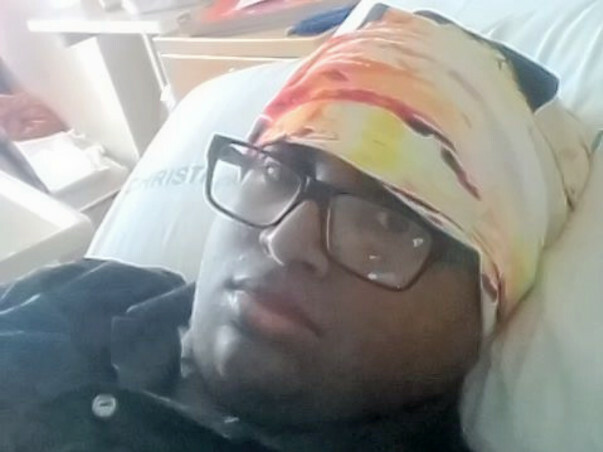 The chemo is slowing down his body, but not his spirit. His parents, Moli and Boban have given away everything that they had and have even taken loans to pay for his treatment. They cannot afford this expensive surgery. Your small contribution can help Alex to live his life! It gives me great pleasure to give you an update about Alex. 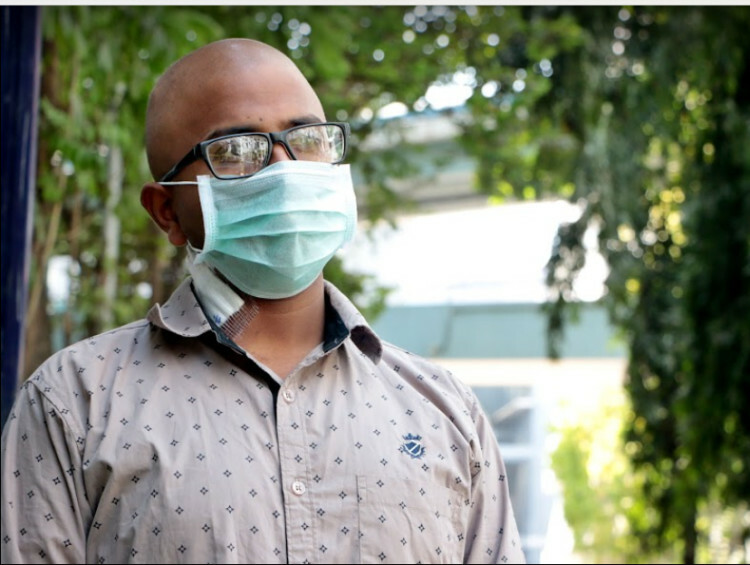 He underwent stem cell transplantation 2 months back, and he is doing really well. His vitals are also stable. He goes to the doctor for regular check ups. 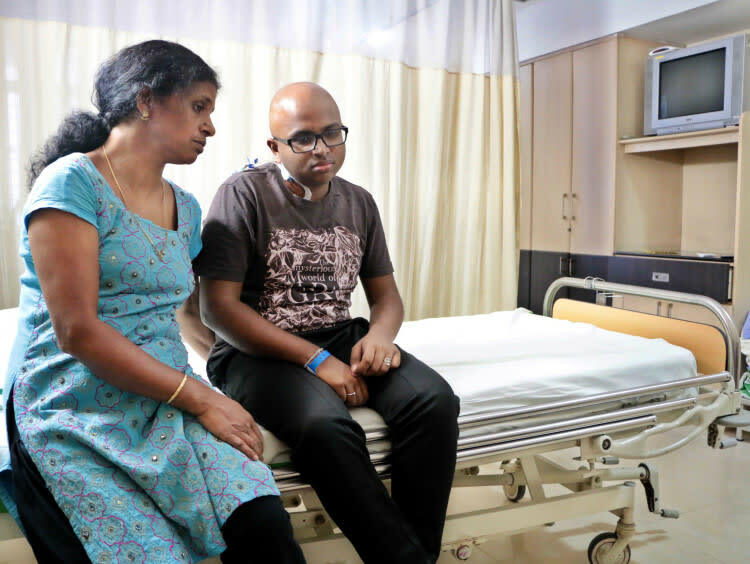 Since it would be difficult for him to travel from his home in Kerala to Vellore for regular check ups, the doctors had advised that he stay close-by. He has taken a room on rent near the Institute where he is being treated. 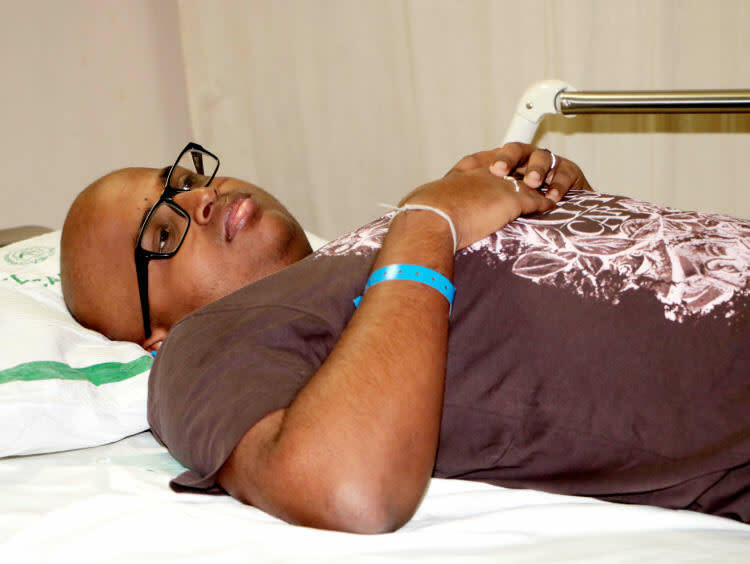 It is extremely important for him to stay in a clean and sanitized environment specially after the transplant. He is taking medication as well. We are humbled by the love you have given him. Thank you all so much! Once again thank you all for your love and support. This couldn't have been possible without you. Alex has finished all rounds of chemotherapy and the results have come out to be positive. 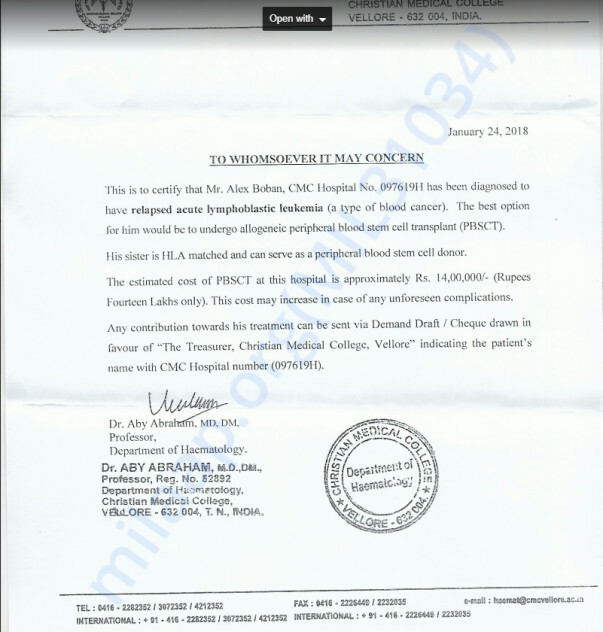 He is scheduled for his stem cell transplantation in the next 5-6 days. I am humbled by your support and will definitely post pictures of Alex once his treatment gets over.